Today’s fast paced business environment demands that small- and medium-size companies work hard to stay competitive. One advantage smaller businesses have is their ability to react very quickly to changes in the marketplace and respond to their customers. 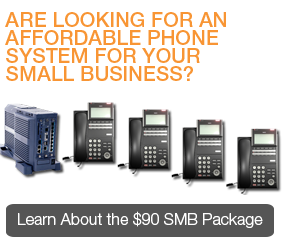 A Small-to-Medium Business (SMB) communications system should be a complete small business communication platform. 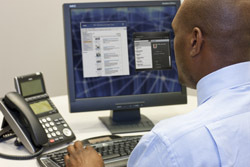 This system may be a key telephone system or it may be a server-based all-in-one PBX system. Selecting a specific system requires a total evaluation of your business goals and future direction. Voice, data, Voice over IP (VoIP), voice mail and call centers are just a few things that need to be considered when selecting an SMB communications system.